BrandingMagazine.com recently posted an article written by Theodore Tsikolis, entitled, “Why We Should All be Investing in Design”. This article speaks to my passion of communicating your brand through well-designed pieces and clearly communicated messages. 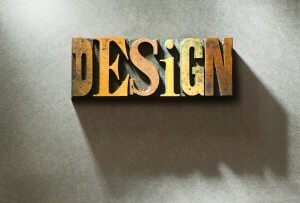 Great design can clear a path through the clutter and help your customers or donors take notice. When they take notice, the “space” they have for your company, product or service grows in their mind. The awareness of your brand grows into preference. That preference translates to revenue. So what is great design anyway? How can we tell what is great or only so-so? The first general indicator is that we like it. Plain and simple. We find it pleasing. But that doesn’t help because tastes vary so much. And sometimes what we like doesn’t get the “job” done; in other words, the design is snazzy but doesn’t communicate our brand well. Branding expert, Marty Neumeier says in his book, The Brand Gap, that design should identity, inform, entertain, persuade and finally, differentiate. That’s a pretty tall order and meeting all of those goals is difficult, but a worthy of pursuit. Great design for a brand communicates the brand essence (the gut feeling your customers associate with your product, service or company) and the brand attributes (the characteristics that identify the personality of your brand). It should also promote brand continuity, which is using a consistent approach through all marketing efforts. This is more easily said than done, and a primary reason many companies need outside marketing help. Competing interests, lack of capacity or expertise creates inconsistencies and the marketing efforts suffer. Strengthening branding, to embody a company’s values and improve recognition. I should mention here that I’m not a graphic designer, but I have the privilege of working with one of the best in the business. My favorite days at work are those when we are presenting design concepts. For me, it’s like Christmas day, when we are unwrapping creative exploration. Most clients love this as well, as it’s usually not a normal day for them to see a large volume of creativity presented in a visual way. Design is no longer the cherry on the cake for high-end products or luxury brands. Over the past decade, design has gained relevance for the way organizations are structured and how they operate.